The theme of the UK LGBT History Month in 2013 was STEM: Science, Technology, Engineering and Mathematics. Tony Fenwick is the co-chair of History Month, and he organised the prelaunch event at Bletchley Park in November, 2012. The prelaunch sets the tone for the Month, and informs the organisations who put on events what the guidelines are. 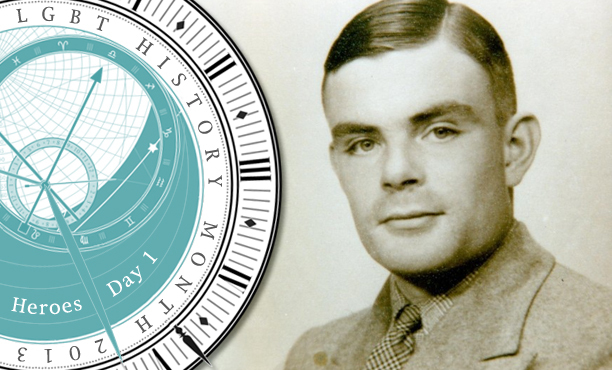 2012 was the centenary of the birth of Alan Turing, codebreaker, mathematician and father of computer science, and his work provided a pivot for the Month. I talked to Tony Fenwick in the lead-up to Pride 2013 about the significance of LGBT History Month and why the influence of pop culture makes the work of training teachers on diversity issues indispensable. When did your involvement in LGBT History Month start? My involvement started in 2004. I was at the TUC LGBT conference, where Jacqui Smith, the Minister for Women and Equalities, talked to us about her role. Sue Sanders asked me to enquire whether it would be possible to have an LGBT history month and if the government would support it. Jacqui Smith said yes to both. That gave us the impetus to start. Sue Sanders and the late Paul Patrick spearheaded the project, and they had the first launch at the Tate Modern. Paul died after a long illness in 2008 and I took over as co-chair. Looking back at the events that happened this year, what is your assessment of History Month’s impact? And how do you evaluate that impact? We had feedback from the pre-launch event at Bletchley Park. And we find out a lot by going out to the museums and asking them what they’ve done. We found out there wasn’t a lot in place and so we had to go out and shake the tree. They haven’t really thought about the field of STEM before, and so aren’t in the same place as they are when it comes to literature, music and the arts. Alan Turing was a pivotal figure in the STEM coverage. Did you find that people did not know how he was? If we do nothing else this year I want everyone to know who Alan Turing was, what he did, and what the state did to him – that he was killed by institutional homophobia. There was a change in the culture in the 1950s as the Cold War began. The State Department in American thought that homosexuals were untrustworthy and had to be kept out. It was becoming difficult for a gay man to work in that area. The Ministry of Defence told Turing his employment in that area was finished. When you’re a mathematical obsessive and that happens you lose your career but you lose your hobby as well. When he went to holiday in Greece he was being spied on and so he lost his friends. That puts a different perspective on why he allegedly committed suicide. When kids learn about events like that do they learn about the effects of homophobia on a very different level? It’s about challenging stereotypes, and we have a lot of work to on that, not just about sexual orientation but about gender and expectations about what makes a man and what makes a woman. The NUT has been working on this in schools and they’re finding that attitudes between boys and girls about masculinity and femininity are beginning to regress. Do you think you’re inevitably at war with pop culture on that front? The imagery that pervades music videos is one where gender binaries are pronounced and archaic, especially in macho rap videos. Yes. I was listening to a phone-in on my local radio station about J-Lo’s performance on Britain’s Got Talent. She was nearly naked. There was outrage about it. But it’s just the tip of the iceberg. It was on after the watershed, but that doesn’t mean anything any more when you can watch it any time. Or you could take your 50p and go out and buy a copy of The Sun. You get the same imagery there. On MTV it’s 24/7 sexualisation of young people, particularly girls. It’s very difficult for teachers to challenge the negative attitudes without the right tools. They need training. That’s what it’s about. Teachers need the critical tools to challenge homophobia and transphobia and to be able to celebrate diversity. It’s a strange time in sexual politics when kids are using the word ‘gay’ to mean bad. How can teachers handle that when it becomes part of an everyday vocabulary? Teachers come to me and say that it’s happening all the time and they can’t keep up with it. I say to them, what you mean is that you’ve lost control of the kids. Then their defences come up. But they have lost control if they can’t control their behaviours. The answer is that it’s a whole school issue. You can’t have a school in which one teacher is challenging the inappropriate use of the word gay if it’s ignored in the classroom next door. There has to be a whole school approach, and that happens through teaching training. It has to be challenged. No class teacher would allow you to use racist terms. At least I hope not. Why is gay being used inappropriately? If a teacher doesn’t challenge it they’re condoning it. We’re talking about schools, but it’s very different to talk about inner city schools in London than it is to talk about schools in rural areas. Do you find that there are different problems in city schools that you have to adapt the training to. It’s not adapting the training to the problems, as I think the issues we’re dealing with are the same as essentially it’s about celebrating diversity and mutual respect. The difficulty is getting into the schools. You tend to find that the city schools are more welcoming. When I did the pre-launch at Bletchley Park I invited the head of every school in Milton Keynes to bring students to the educational events, but because we have an LGBT label I didn’t get a response from any of them. We had to get the children in from different parts of the country. That’s a disappointment as we should be taking the issue seriously and we should be using LGBT History Month together with all the other events in the classroom. It’s invisibility that creates prejudice and it’s that invisibility that makes teenagers so frightened and alone when they’re growing up questioning their sexuality. Where does pride fit into the calendar of events for you? Is it as important anymore? As I see it, it’s a far showier event compared to History Month. There is this dichotomy developing. There are those who think it’s party party party. There are those who think it’s about standing your ground, saying we’ve got a right to be here and it’s about educating. I think there’s room for both. A friend of mine from New Zealand, and his partner from Australia, came over here and went to Pride. When they saw millions of people they burst into tears as they’d never before seen that many people celebrating their existence and their right to be. When you see the struggle they have to put Pride on in for example Kiev and Moscow it puts it into perspective. You see how important an event Pride is globally. How do you think History Month is going to change over the next few years? It’s certainly going to get bigger. Next year we’re doing music. There is so much material, and so much to play with. Schools Out celebrates its 40th next year we’ve got History Month celebrating its 10th the year after. Then we’ll be going back to History. And not long after that, in 2017, is the 50th anniversary of the partial decriminalisation of male homosexuality in England and Wales. 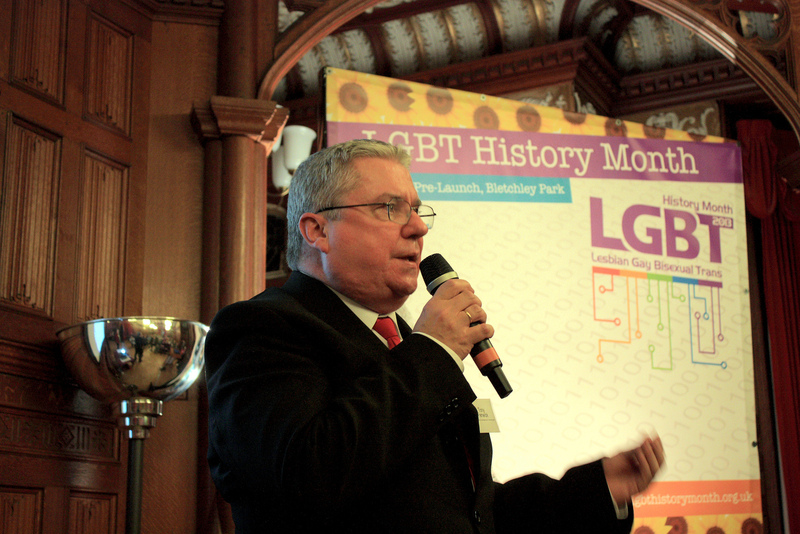 To find out more about the work of LGBT History Month, click here to visit the website.